DemSt gave me a promotion ode to one of their apps called iCloudy. It is a simple game that involves navigating an origami plane across the screen. 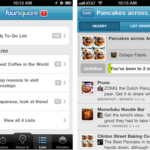 I haven’t run into in other apps that have pulled the gameplay off quite as well as iCloudy has. As well has making it fun, it looks pretty as well. 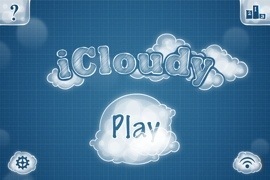 The gameplay for iCloudy is really simple. 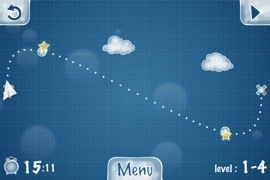 You have fly your paper airplane to the “X”, all the while dodging obstacles such as clouds and patches of rain, and making sure you pick up all three stars. Choosing the path you wish to take is done by bending what reminds me of an equalizer wave. It’s an interesting take, and is definitely unique. The game started fairly easy, but after a few quick levels, I found myself second guessing my original game plan and asking myself, “What am I missing?”. The game got really difficult, really quickly. I like that, it gets straight to the point. The game looks really nice as it keeps a blue monochromatic tone throughout. From the blueprint background to the fluffy clouds you’re instructed to miss, everything looks smooth and bouncy (yes, bouncy). There’s isn’t much to say about the game, and that’s a good thing. It’s simple, fun, and looks good. Tack on the integration to Facebook, Twitter, and Game Center and I think we have ourselves a hit. So go ahead, grab yourself a dollar less a cent and check it out. You can thank me later.